A notice of assessment (NOA) is an annual statement sent by the Canada Revenue Agency (CRA) to all taxpayers. It is only sent after you file your income taxes and acts as a confirmation that your income filed was accepted by CRA. Why Is This Needed to Get A Mortgage? Your NOA will show a balance owed to CRA or a refund owed to you from CRA. If your NOA shows a balance owing, it must be paid in full before any lender will fund your mortgage. This can be done by showing your Statement of Account from CRA showing the balance is paid in full. 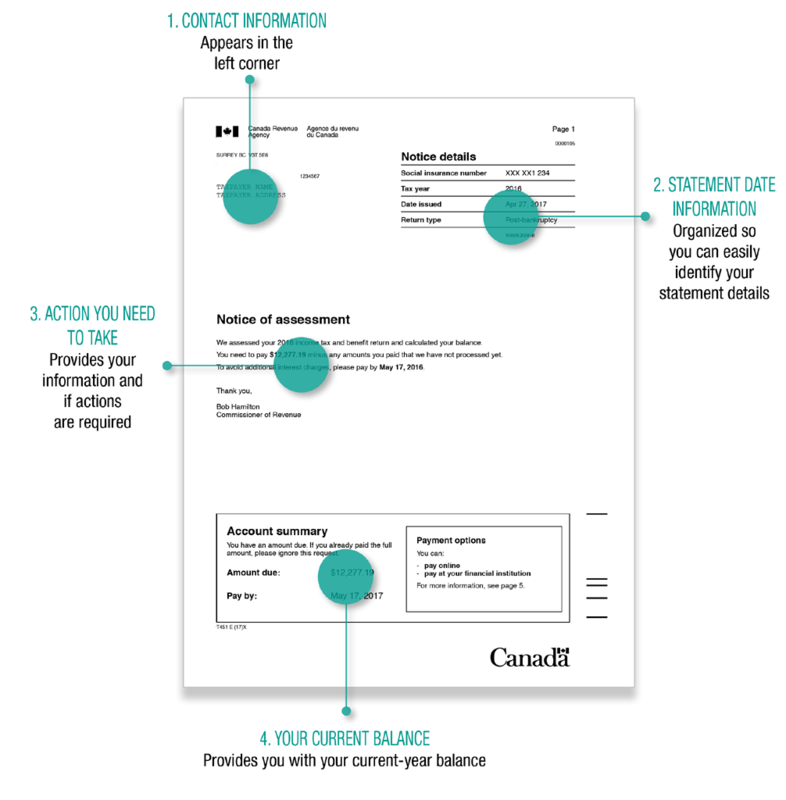 You can also provide a bank statement showing the exact payment being made to CRA.